This week has been Castlevania features week. We’ve picked our top ten games from the series, reviewed an awful novelisation of Castlevania 2: Simon’s Quest, and provided some tips for wannabe Dracula hunters. One thing that has become clear amongst the team is that this series is packed full of memories and nostalgia, as well as terrific gaming experiences. We’ve decided it’s time to sit down and talk about the impact of Castlevania on our Nintendo gaming history, covering the whole 25 years of the franchise. Joining features editor Thomas Whitehead is editorial director Damien McFerran and downloads editor Corbie Dillard, as well as writers Christopher Ingram and Dave Frear. Thomas Whitehead: First up, can you please introduce yourselves to our lovely readers? Corbie Dillard: I am the Downloads Editor of Nintendo Life. Dave Frear: I'm Dave Frear: International Man of Mystery. I also play a lot of games. Find me rambling on about things in the retro section. Christopher Ingram: Hey guys, I'm Christopher Ingram, and I write news and reviews for Movemodo and Vitagamr, and contribute a few reviews here at Nintendo Life as well when I can. Damien McFerran: I'm Damien, the Editorial Director of Nintendo Life. 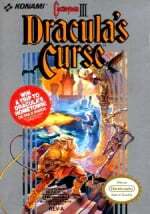 Thomas Whitehead: To start with, what were your first experiences of the Castlevania franchise? Dave Frear: There was a big family meet up and some people had Game Boys. 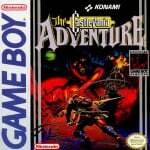 I got to try out a few games I hadn't played until then, one of which was the first entry in the series: Castlevania: The Adventure. 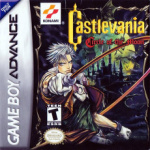 Or is it The Castlevania Adventure? Anyway, I thought the Adventure was poor. 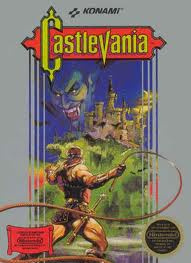 Castlevania was one of those series I'd heard good things about but based on this I couldn't see what the fuss was about. It was slow and the level design was bland. I had no interest in playing another Castlevania after that but a while later I met a friend who owned Super Castlevania IV. That one was better. 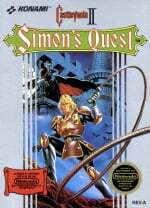 Damien McFerran: I got into the series quite late, purely because I was a Mega Drive owner back in the early '90s and bypassed the NES completely. Super Castlevania IV was my first experience of the series — I recall playing it at a friend's house and being blown away by the combination of moody visuals, amazing music and killer gameplay. Corbie Dillard: I was saving up to buy The Legend of Zelda and when I finally had enough money and went to buy it, they were sold out. So I picked the first game that looked decent and that game was Castlevania for NES. Damien McFerran: A fine choice! Thomas Whitehead: Sounds like a lucky break, Corbie. Corbie Dillard: It blew me away and I've been a huge fan of the series ever since. Christopher Ingram: I was upstate visiting distant family when I was young, and I fondly remember entering this unknown house and seeing a group of guys huddled around a television playing NES. On the screen there was a guy swinging a whip at a bunch of flying Medusa heads and dodging rolling eyeballs. 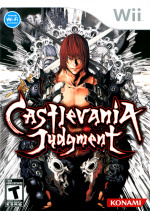 Years later I found out this was Castlevania and I instantly fell in love with the Gothic lore the series brought to the table: I still enjoy the series today. Damien McFerran: I didn't play the NES games until much later, probably the mid-90s. 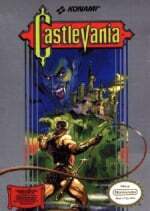 Thomas Whitehead: It's been alluded to already, but what was your initial reaction to your first Castlevania game? Was there a real 'wow' factor? Corbie Dillard: I was absolutely blown away by the platforming elements and the amazing soundtrack. It just really pulled me in and I honestly couldn't put it down for weeks. Thomas Whitehead: Indeed, the soundtrack is awesome in those early games in particular. Corbie Dillard: As you said earlier, it was just a lucky break to buy the game on a whim and for it to turn into such a big part of my gaming life over the years. Christopher Ingram: Definitely a lucky break, because buying a NES game on a whim usually ended up in controller bashing nerd rages around my house! For me, I've always enjoyed Gothic settings and this series brought Dracula to life; how can that not have a 'wow' factor? Dave Frear: I really liked the Dracula's Curse soundtrack. Though I didn't actually play that until years later. Damien McFerran: For me, it was Super Castlevania IV's tone that really impressed me. I'd been so used to playing cartoon-like platformers on the Mega Drive and SNES, yet here was a game that was soaked in grim, dark colours and had sombre, moody music. It was the total opposite of what I was playing at the time, yet it grabbed me from the start. It felt a lot more mature than other action games I was playing back then. Looking back further, even the NES games had that grimy, dark aesthetic to them. Corbie Dillard: The Mode 7 stuff in Super Castlevania IV made it very cool as well. On the screen there was a guy swinging a whip at a bunch of flying Medusa heads and dodging rolling eyeballs. 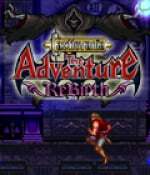 Years later I found out this was Castlevania. Thomas Whitehead: Chris has already brought us to the follow-up question. 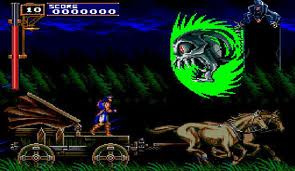 Do you think that part of the series appeal — beyond graphics, art design, soundtrack — is the Dracula story arc, in terms of setting the tone for the games? Corbie Dillard: You can't beat a good vampire theme. But to me, the pinpoint platforming and high degree of difficulty are what brings so many fans back to the series time and time again. Damien McFerran: I think picking a well-known literary character like Dracula and fleshing out his story over the series is genius, actually. They did so much more than just use him as a Hollywood-style villain. By the time you get to the later games, his background — and the background of the Belmonts — is fleshed out beyond belief. Dave Frear: I've never taken much interest in the story itself to be honest and couldn't tell you the reason behind the jump and whip action in most of the games — I just find them fun to play. I do think it adds to the appeal though, as it allows for a wonderful aesthetic with the large rooms and various creatures coming after you. Even with the first game there were great looking moments, like inside the clock tower towards the end, and when you go outside just before the battle and there's a simple but spooky looking sky with a crescent moon. Also, the Count's entrance is fantastic. Thomas Whitehead: Let's work through the different styles through the series. The initial NES and SNES titles followed a linear style; what makes this work so well or, depending on your perspective, not work? Christopher Ingram: Corbie said it all. Platforming perfection and difficulty. Damien McFerran: Like Corbie said, the challenge factor of those 2D entries was immense. These were games that really pushed you, sometimes to the point of total frustration. When I played the first NES game in the 90s I couldn't believe how hard it was! Corbie Dillard: The linear stuff from the early years will obviously appeal more to the arcade gamers of the time. But for gamers looking for something a bit more in-depth, the Metroidvania titles take care of that. I like that we have both, as they have various different qualities to offer. I think as long as you continue to have the core Castlevania gameplay sensibilities, you can add in just about any types of elements, such as exploration and storytelling, and it still works for fans of the series. Damien McFerran: I actually think the linear entries in the series stand up better than some of the Metroid-style ones. I struggle to play the recent games, because you can't just drop in and play for a few minutes. I can pop in Super Castlevania 4, Bloodlines or Rondo of Blood and enjoy them in small bites. Corbie Dillard: I agree with that 100%. Corbie Dillard: Because they are everything that makes Castlevania titles so great, without all of the added filler. Dave Frear: Yeah, I also miss having passwords. If you particularly liked a stage you could play it whenever you wanted – which adds to the replay value. Damien McFerran: Yeah the passwords were great for the time. We should talk Castlevania more often. This round table made me realise that I need to track down a few of the games I've missed out on. It's time for a Castlevania-thon in my house! Great read guys, Castlevania is one of the most consistent series from Konami IMO (The 2D games as far as I'm concerned.) As a whole, I'd consider the metroidvania titles to be better than the classic ones, with the only exception of Rondo of Blood, which I believe was the series' peak. I just hope Konami continues the tradition of releasing 3 games for the 3DS. Changed my life in making me see (hear?) what could be done with chiptune music. It is overall one of the franchises responsible for the way I love video games nowadays and probably why I really fell more entertained playing old 8 and 16 bit games instead of the new ones. Judgement is a godawful game, but it gives a good laughter. It's totally ridiculous! Despite being barely playable, I played the whole thing through twice with out friends + vs. matches, which actually make it to about a 100hrs of playtime, and would sound like a loved game. I hope 3DS gets something as awesome as Dawn of Sorrow was for the DS... My favorites are the unlinear DSvanias. I think I'm more likely to replay the newer games because they are huge! With all the content and options, no two experiences will feel the same. I think I would get tired of repeatedly playing the same level in one of the older games. I've put 70 hours into Portrait of Ruin total, most of it is leveling up weapons and finding all the drop items, but it is one of my favorite DS games. skipped over lords of shadow? I'm playing through Aria of Sorrow now, and I've gotta say, amazing game. Incredible. I love collecting souls and experimenting with different weapons. thanks for showing the series love. I've been playing all the games in chronological order this whole month. My first experience was with the original Nes game. It was hard as hell but that awesome music kept me coming back for more! I was always a big horror fan so the Vampire theme drew me in. Once i got into it I couldn't stop playing! I wish Konami would hurry up and announce something new for the series. I'm starting to think they have run out of ideas. Releasing the Gameboy games on 3DS would be a step in the right direction. Or How about some Bloodlines on Wii VC? What's a cassulvaynya? Is it a type of casserole? Sorry, the Metroidvania ones are as a rule much deeper, and much better games. Great round table, guys! Nicely summed up what was great about the earliest games. IMO, the dark, brooding theme with skeletons and dripping blood everywhere is the best representation of Castlevania. One I thought was perfected with IV! And I do greatly enjoy the Metroidvanias. But, I too am far more likely to pick up the straight playthrough Castlevanias. It's true that they're just easier to get into. I think it's kind of symbolic of the earlier video games period being better by way of being simpler. I firmly believe that the more complicated games are made, the less enjoyable they are. It would be wonderful to hear news of any form of 2D Castlevania. 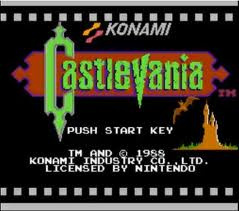 However, as I'm worried about the future of the franchise, like I am Mega Man, I'd be happy to hear Konami announce any Castlevania title. There hasn't been a peep (that I know of) of a new one anytime soon. It really feels like Konami doesn't know what to do with the series after the "reboot". Konami itself seems to be in a serious state of decline. 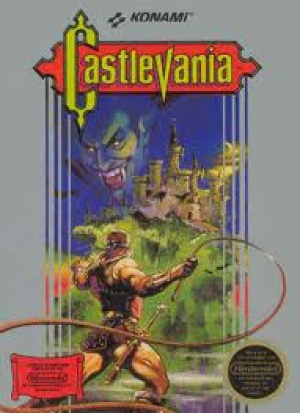 Back to 2D, it's sad to think of never seeing the traditional Castlevania format winding down. Even handheld game systems becoming so powerful has me concerned about the future of gaming, Castlevania and otherwise. I'm afraid the day will come when video games are nothing more than interactive movies, because there's this push for fancy 3D visuals over gameplay. To a degree, Lords of Shadow felt like that (or what I've played... I've not finished it). Simply pushing the right buttons at the right times. Order of Ecclesia would be my choice. Great round table 'bout a great series. Of course i played a lot of these games so far (starting with Castlevania I or III on the NES ... can't remember). And while i love the graphics, sound and gameplay (liking the story elements, but they're not that that important to me) i can't remember much from 'em. Of course it would be really great to both have brand-new games on the 3DS, Wii and Wii U as well as more VC releases on the Wii(U) and 3DS. Imagine what Retro could do with this franchise. Especially if they're more classic-oriented than the Metroidvania games. I mean i like 'em but they're getting a bit stale after six in a row.